Iris hook, metal, c 1906-c 1920s. The iris is the coloured portion of the eye surrounding the pupil. The iris has the ability to constrict and dilate the pupil to alter the amount of light that is focused onto the retina by the lens. 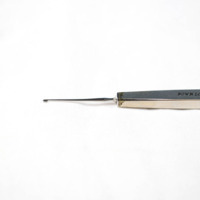 This iris hook would have been used to retract the iris during cataract surgery. 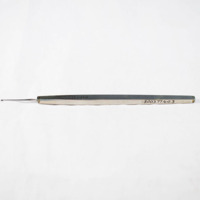 John Weiss & Son, Ltd.; 1787-; Surgical instrument makers, “Iris Hook,” Heritage, accessed April 24, 2019, https://heritage.rcpsg.ac.uk/items/show/170. 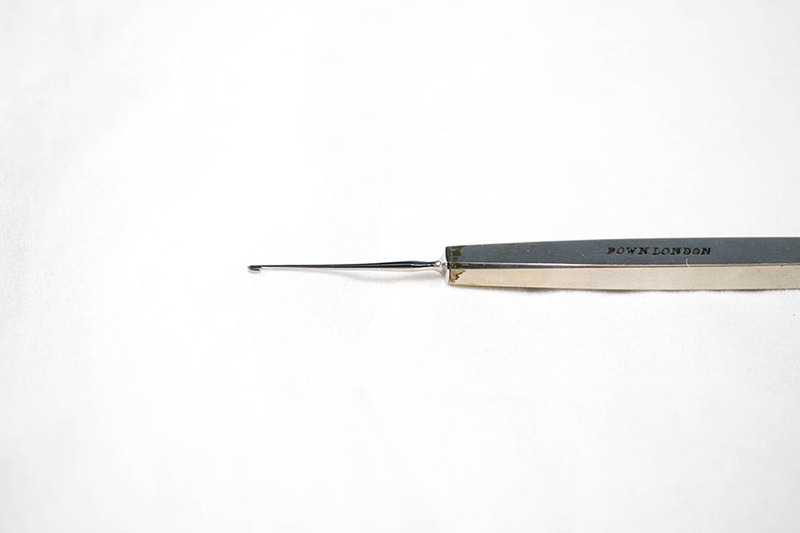 Description: Iris hook, metal, c 1906-c 1920s. The iris is the coloured portion of the eye surrounding the pupil. The iris has the ability to constrict and dilate the pupil to alter the amount of light that is focused onto the retina by the lens. 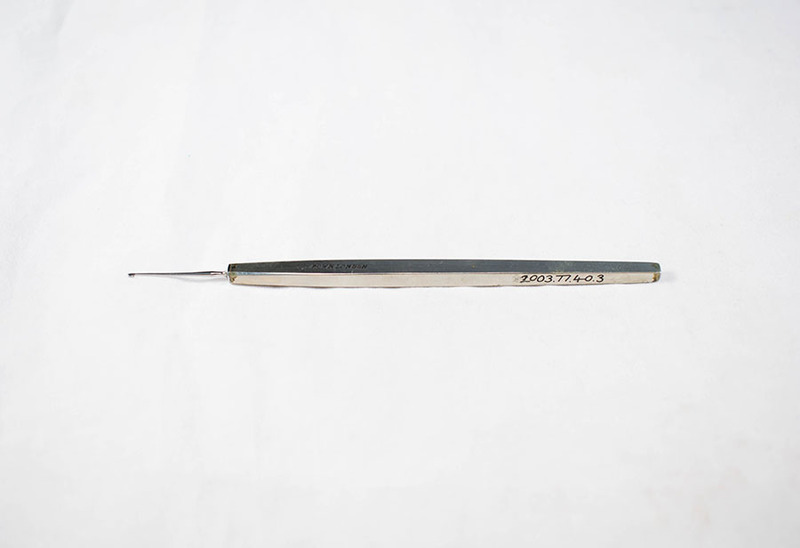 This iris hook would have been used to retract the iris during cataract surgery.